A group of intruders got more than they bargained for when they attempted to rob a home in Harris County, Texas. According to KHOU, three masked and armed suspects broke into a Hockley-area home while the family — including a woman and her three young granddaughters — were making breakfast in the kitchen. While the intruders threatened the lives of the family members in the kitchen, the woman’s adult son was in his bedroom nearby. 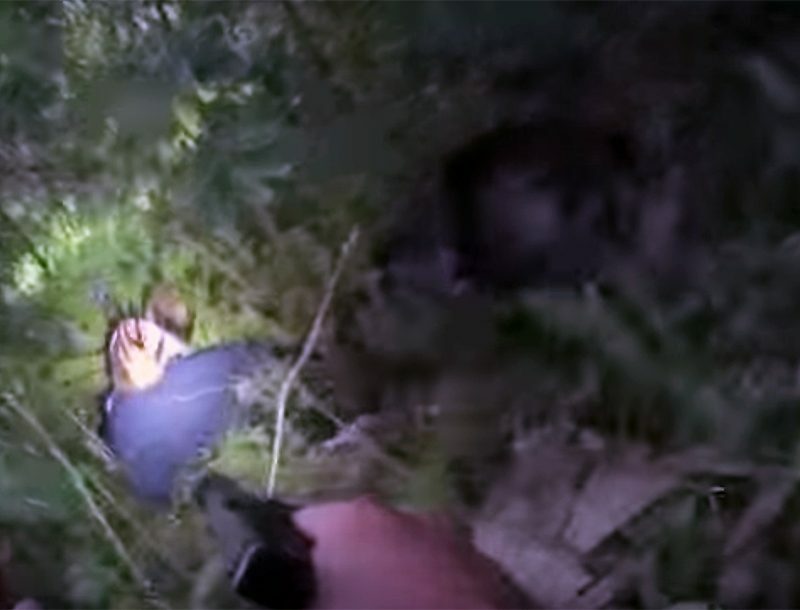 He grabbed his gun after waking up from the commotion. “… and when he heard ‘please don’t hurt the girls,’ that’s when he took action,” police said. The son went into the kitchen and opened fire, shooting and killing one of the suspects, KHOU said. The other two suspects managed to flee the scene. Nobody in the family was hurt during the incident. 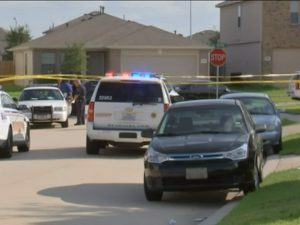 KHOU says there were eight people — the mother, her husband, her two adult sons, three granddaughters, and an employee from the family’s construction business — in the home when the attempted home invasion took place. 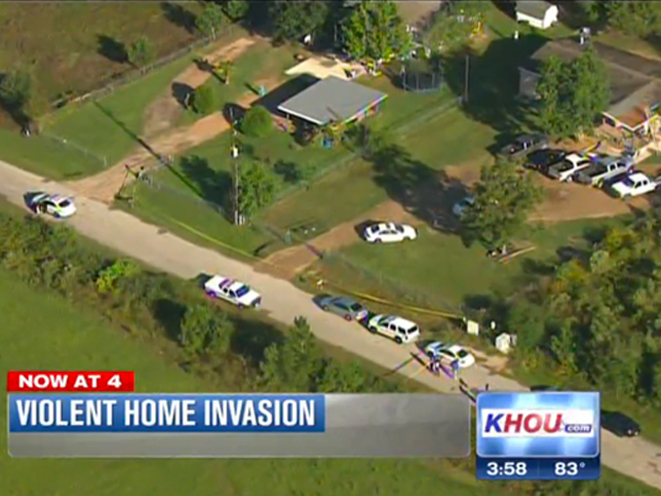 As KHOU reports, police are attempting to determine a motive, if any, for the attempted home invasion. Family and neighbors said this is the first time they have ever been burglarized. The other two suspects involved in the crime are still at large.